This table groups Austin Energy customers into four classes: residential, commercial, industrial, and lighting (public street/highway and other). View the annual rates in cents per kWh by customer class starting in 2006.  Learn more about Austin Energy’s rates at http://austinenergy.com/wps/portal/ae/rates. Plant assets include Austin Energy’s land, office buildings, equipment, and all generation and electric delivery infrastructure. Find more information at http://austinenergy.com/go/reports. This table groups Austin Energy customers into five classes: residential, primary 1 & 2, secondary 1, 2, & 3, lighting, and contract/tes/trans/highload. View sales in dollars and kWh.